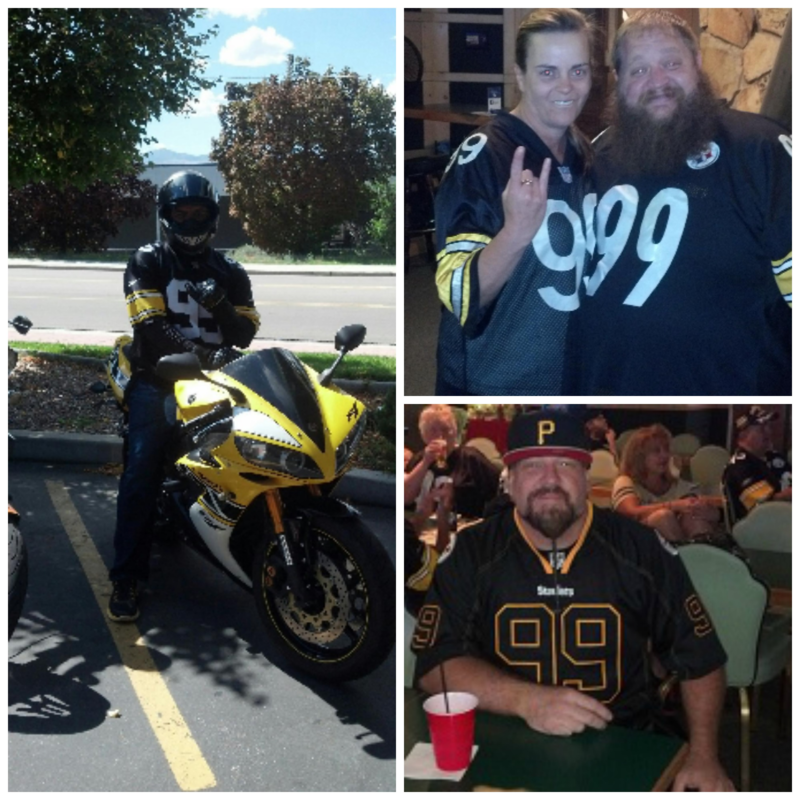 We have great photos of Brett’s family and fans! Enjoy! 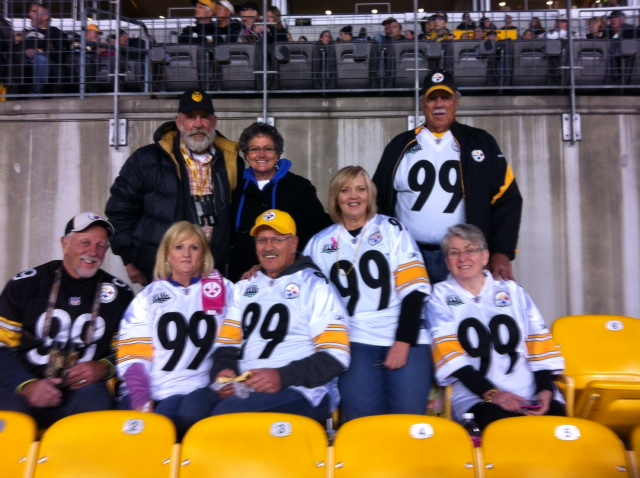 Brett’s parents, Connie and Lane (back row on the left), along with his uncles, aunts and cousins attended the game against Houston. Here they are showing their support for their favorite 99! As we know, they brought the team and Brett good luck as the Steelers defeated the Texans and Brett nabbed an amazing beardception! Fans have emailed Brett’s website thanking Connie for stopping to chat and for taking photos with them! Mama Keisel was a big hit. Brett’s sister, Peggy and her friends gather with the Steel City Mafia at Club 90 in Sandy, Utah. They cheer on 99 and raise money for Shriner’s. Thank you to Peggy and to ALL the #99 supporters! We met Anthony when Brett did a PSA for the Cystic Fibrosis Foundation. 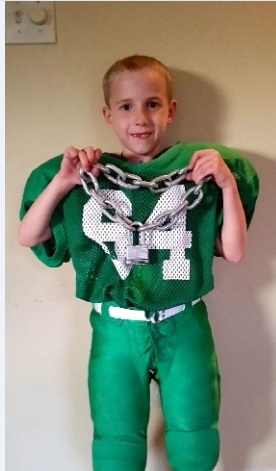 His family has kept in touch and recently sent us a couple photos of Anthony in his football gear. Just a note to let you and Brett know Anthony is doing well, and is trying to follow in dad’s, grandfather, and Brett’s foot steps! Here is a pic of him in the green #64 at age 7 making his first attempt of playing the game!